As we embark upon the annual celebration of the life of Dr. Martin Luther King Jr., many companies and organizations will commit time and resources to honoring the legacy of arguably the most prolific figure in the ongoing strong for civil rights. Dr. King is often heralded for the impact of his words as well as his actions. In fact, it is his nonviolent action that is often spotlighted as the hallmark to the folklore of his life. To this day, people still halt their steps at the sound of Dr. King’s voice. Among the many speeches and sermons that Dr. King delivered over the course of his life, his “I Have a Dream” speech spoken from the steps of the Washington monument in 1963 is without a doubt his most quoted. The metaphor of his “dream” for equal rights for all men and women regardless of creed or color is the calling card within the canon of his catalog of public appearances. 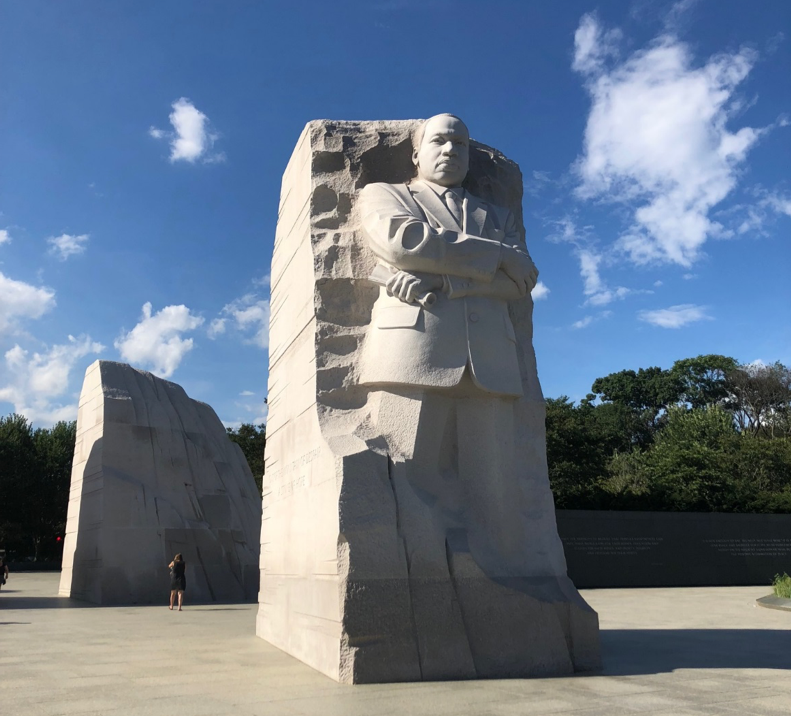 The concept of dreaming for a better society has been an inspiration to millions, but it has also minimalized the breadth of Dr. King’s teachings since his passing in 1968. Dr. King’s philosophies have roots in the teachings of his mentors and ideals like Howard Thurman and Mahatma Gandhi. Dr. King is often romanticized in popular media as the idealist who preached non-violence in an era that was plagued by anger. He was a pacifist, while his counterpart Malcom X (the Magneto to his Professor Xavier for the comic book nerds), was labeled the radical who urged Black folks to arm themselves physically and mentally for the pending conflict. It is true that Dr. King was opposed to violence as a means of protest. However, he was not was an idle spectator who sat on the sidelines of the Civil Rights movement. Dr. King was about action. He marched. He shouted. He defended others and when necessary, he went to the source and spoke with his oppressors eye-to-eye. He was a disruptor. When companies look to commemorate the memory of Dr. King in their marketing, they cannot ignore these details of his life. If you want to honor Dr. King, you must be disruptive. You must debunk the status quo and be bold. Brands that wish to have an impact on modern society and cut through the clutter, have to show courage in the face of public outcry. We live in a divisive world where the court of social media can dictate and change business outcomes. Consumers are hyper-connected and the opinions of individuals can now shape global conversations. Does this mean that brands should start pushing their political agendas and inserting themselves in every conflict? Of course not, but brands need to make sure that they stay true to the values on which they were created and when a public issue is contrary to those values, be brave enough to take a stance. Nike showed us in late 2018 that taking a stance on controversial issues can be fruitful. The athletic apparel giant made the brave decision to support Colin Kaepernick and Serena Williams in advertising when the two athletes were being openly persecuted for using their professional platform to voice the concerns of their community. When a FOX News anchor told LeBron James to just “shut and dribble,” the NBA superstar took the courageous stance to embrace the phrase and use it as a platform to further his crusade to “be the change” he wanted to see in the world. In the midst of focusing on a major shift in his sports career, he dedicated time and resources to opening a school in his hometown and chronicled the stories of other players like himself who utilize the game of basketball as a means to bring greater awareness to Black culture and social issues. Brands that choose to recognize MLK Day by simply regurgitating miscellaneous quotes about love and peace on their social media or to provide discounts on goods and services are missing a tremendous opportunity to speak to the issues of today. As much as non-violence is a priority for America, so is restorative justice and economic empowerment. Companies that make the effort to align themselves with the issues of marginalized people are conducting business in a way that is authentic to the true message that Dr. King lived. Some would even argue that these are the issues for which he died. A true memorial in his honor is to continue these conversations not only in sanctuaries, but on neighborhood blocks, classrooms, boardrooms and social timelines. As an agency that is staffed with multicultural practitioners and executes multicultural marketing, FCG aims to represent the ideals of Dr. King in how we carry ourselves and how we counsel our clients. Our award-winning work is due to the fact that we rarely tow the line or accept the status quo. We are disruptors and risk-takers who allow the voices of people of color to permeate how we advance our clients in the marketplace and beyond. Only at a place like FCG will you find marketers who convince major corporations to consider examining faith-based consumers, mixing both retail and spirituality. Only at FCG will you find communicators who counsel C-Suite execs on how to maximize their workforce by recruiting and retaining diverse professionals. Only at FCG will you find practitioners bold enough to take groups of multicultural influencers into the heart of the Deep South to explore the origins of one of the world’s finest whiskey brands. FCG did that and we continue to do so because it is a part of our core values. Dr. King was once famously quoted saying “If you want to say I was a Drum Major, say I was a Drum Major for justice, peace and righteousness.” Here at FCG we too are Drum Majors … vibrant, high-stepping HBCU Drum Majors bringing the booming sounds of socially-conscious marketing to the masses—and it doesn’t get more disruptive than that. To all the marketing professionals who are looking for ways to celebrate this occasion, we encourage you to do more than dream. A dream without action remains simply that, a dream. Take action. Use your voice. Embrace the tenants of Dr. King’s life and find ways that you too can disrupt the conversation. It’s the MLK way. Brian J. Packer is an Account Supervisor with Flowers Communications Group. In his spare time, he mentors Black youth at Urban Prep Academies and serves on the Alumni Board of the educational nonprofit High Jump Chicago.